Keine Ahnung was das mit Avicii zu tun hat ... hier stimmen ein paar Tussis einen Chorus an, dann legt die Dr. Luke Produktion los - der Charakter des Stücks ändert sich schlagartig - Auftritt Pittiplatsch mit seinem Geplapper ... dann wieder die Tussis ... sehr einfachst gestrickt. 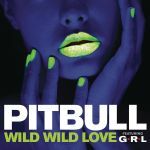 Timber - Wild Wild Love, that might be Pitbull's best run of singles ever. And I doubt he will be able to match that in the future. Wild Wild Love sounds like a summer smash and I just wished they would have released this in May, then this could easily have been the global summer hit that we all need. This sounds even better than Timber. I've now enjoyed two Pitbull songs in a row. This hasn't happened since 2009, back when I was quite happy to admit to liking trashy, generic music by artists like Pitbull, back in my naive teenage years. I sort of hate myself for it, but I have to give props to the guy for making two insanely fun, catchy, pop records. This song does sound good without Pitbull, but I'm even finding myself enjoy Pitbull's verses in this one. I can't see myself enjoying this as much as "Timber", but we'll see. A whole lot of crazy. Pitbull sounds boring, but the G*R*L parts are quite engaging. The different transitions between folk/indie and electronic is quite amusing. Einfachste Melodie, langweilt sehr schnell. It's like two songs combined and not in a very good way. The verses are actually very good, but the chorus sounds too cheesy and it really grates on me. 2.5<br><br>Can't stand this already, bring back Timber. The G*R*L parts are good, but Pitbull's verses aren't. The final result is that the song is average. ▒ Géén bagger, maar ook géén hoogvlieger, deze samenwerking uit begin februari 2014 tussen: "Pitbull & G*R*L" !!! Gemiddeld, ø ☺!!! Certainly the chorus is much better than Timber's, Not bad. Geen al te beste plaat. Ik vind dit nummer zelfs aan de saaie kant. Pitbull finde ich generell unterbewertet! Darum gibts hier auch gleich die höchstnote. Aber 5* hat dieser Song längstens verdient. So schlecht ist der nämlich wirklich nicht! Tja gut... wenn der "wirklich nicht schlecht ist" dann begründe ich das mal. Schlecht ist er nicht, aber auch nicht gut oder anstatzweise mittelmäßig. Aus dem Refrain kann man eine viel bessere Melodie maßschneidern, da hier gute Ansätze zu erkennen sind. Aber trotzdem wird das von mir insgesamt bestraft und zwar mit 2 Sternen. Iebiewiebie, niemand weet wat je bedoelt met je productietermen, dus misschien is het een tip om eens in begrijpelijke taal te schrijven? <br><br>Het nummer is verder 24 in een dozijn en niets bijzonders. Ik vind het behoorlijk saai en bovendien irriteert Pitbull me mateloos met (ja, alwéér) zijn ergerlijke gegil. Tot overmaat van ramp heeft hij ook nog eens een voetbalplaat uitgebracht (hè jakkes!) en probeert hij dus met twee nummers tegelijk de hitlijsten te terroriseren. Hoe bedoel je, overkill? Ugh, when Pitbull's rap and ad-lib is starting to sound like the commentary on a talk host show, you know it's time to tune out of the babbling. G*R*L were ok I suppose. When it comes to the charts, some artists have it easier than others to make a presense. This being due to several factors such as perceived quality, how well they fit into the zeitgeist, how hard they try to get into it, etc. Pitbull is the weird and annoying example since he's so easy to dislike, you'd think that he'd have to really prove himself with every. single. single.<br><br>But then this unnoteworthy thing becomes a hit with no problems. It's not fair! :P Though I guess it's not entirely without its merits. I admire that the chorus builds up with the successive 3 (or 5 [not to be confused with 'Mr. 305']) times it plays out; when the beat comes in for the last one, it's probably my highlight on this song. I'm not even one who often says this, but Pitbull is filler in his own song this time around. Je digère mieux qu'à l'accoutumée. I can definitely see the interest with this song. It's one of the countless songs by Pitbull that use a vocalist to sing the intentionally catchy chorus which will make the song radio-friendly and more intentionally, known. The same goes for "Timber", "Feel This Moment", "Rain Over Me", "Get It Started", "International Love" and "Give Me Everything", most of his charting singles (2011present, that is). Then there's "Back In Time", which uses a sample and that leaves "Don't Stop the Party", which is the only song he doesn't use a singer/sample for the chorus; no wonder he doesn't sing his choruses, he sounded atrocious in DSTP.<br><br>Honestly, this song is very catchy, but really, the chorus makes this song, just like the songs listed above. It's not his best, and "Timber" was better, but I'll fairly give this a 3.5*. Pitbull's bits are at least somewhat entertaining but GRL's are not. Das kann man doch hören, hat ja auch Max Martin seine Finger im Spiel. Wat KingBandicoot zegt. Pitbull verpest de catchiness van het nummer, terwijl het refrein van GRL erg lekker is!